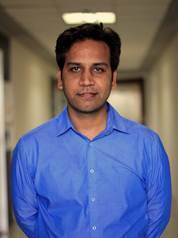 New Delhi: Affle, the Mobile Apps & Ads as a service (MAAS) company has announced the appointment of Amit Sharma as the Managing Director of Affle Appstudioz, it’s mobile apps and analytics platform business. Amit is one of the founding team members of Affle’s India business and has in the last 8 years played multiple roles in the company. In his most recent role he led International Sales & Delivery team and was instrumental in building Affle’s business and partnerships in new markets globally. In his prior roles in the company he had led the Mobile Apps and Operation Services Group, which successfully deployed Affle’s apps and platforms with multiple carriers, publishers and other partners. Prior to working with Affle, Amit worked with one of India’s leading media houses – The Indian Express Group where he was part of the IT, managed infrastructure, communication & security teams. On his appointment Amit Sharma, Managing Director, Affle AppStudioz, said, “I am glad and excited with this new role and look forward to taking Affle AppStudioz to newer heights as an apps and analytics platform based services business with commitment towards quality & complete client satisfaction. I have enjoyed every step of my journey in Affle and intend leveraging this opportunity to grow Affle AppStudioz globally. Also as part of the announcement it is confirmed that Saurabh Singh and Snigdha Singh, the ex-promoters of AppStudioz are no longer associated with Affle Appstudioz Pte Ltd and Appstudioz Technologies Private Limited.